Only joking!!! 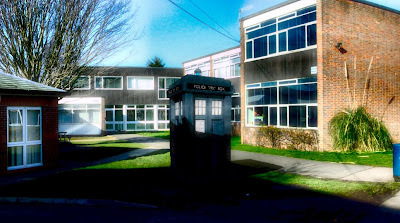 I thought I would share with you a little picture from a short video clip that I have been putting together, showing Doctor Who's TARDIS materialising in the grounds of Evesham High School!! Yep, I do have WAY too much time on my hands! 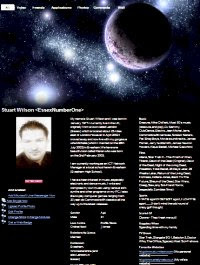 I hope you like the few changes that I have made to the Captain's Blog. It's funny actually because I spend so much time at the school trying to make sure the kids don't access this site (via proxies etc.) from the school network, and now here I am - a member myself! So, if you're a Bebo member, look me up and feel free to invite me as a friend!! I've done another music video for a Commodore 64 remix which I wrote a couple of years ago. This one is "Action Biker" and was written originally by the legendary Rob Hubbard. I have renamed this remix "Action Biker - The Laidback 'Vince Clarke-esque' Remix" and also features a video showing the complete game, from start to finish. I was able to record myself playing the game, and I finished it in a pretty respectable 24 minutes. Of course, the video doesn't go on THAT long!! As promised, here are a selection of partial-panoramic photographs that I took while walking the Malvern Hills. I haven't done any major enhancements on them yet apart from adding a bit more colour saturation, just so that I can post them on here sooner rather then later. I also have quite a few 360º panoramics which will be available to view shortly on my Panoramics website. I did it!!! I've walked 9.67 miles up, along and down the Malvern Hills! You can view my route by clicking on one of the Google Map images above. As you can imagine, the views were incredible. I took loads of pictures and panoramics while I was up there, and I will hopefully post them on here in the next couple of days. 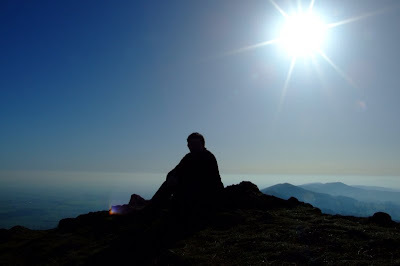 Here is a picture of myself on the Worcestershire Beacon (the tallest part of the Hills at 450 metres).... Ok, it probably wasn't the best idea to take a picture of myself with the sun in view, but it does make a rather dramatic image!! I left home at 9.00am this morning, and finally got back at 18.30pm. I am knackered so I'm off to go and have a long soak in the bath! Well, it has taken me over six years to finally get round to doing it, but tomorrow morning I'm off to walk the length of the Malvern Hills, all on my own!! 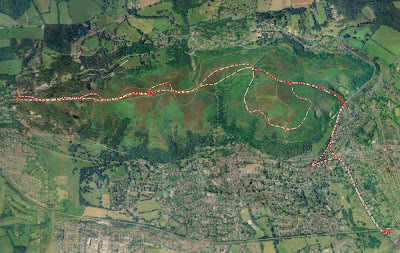 I'm not sure if I am going to be able to walk the full 13km, but I'm eager to take some panoramic shots from the highest point (1395ft above sea level) and see some gorgeous views of Worcestershire, Herefordshire and Gloustershire. 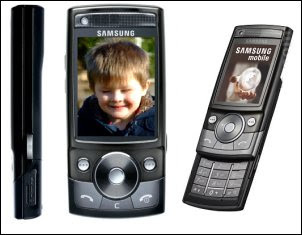 And, in other news, what with Valentines Day just round the corner (and because I'm just a big ole' romantic at heart), I've treated Michelle to a brand new phone for her Valentines present. Her phone is now a nice shiny (and pink) Samsung G600, and I hate to say it, but it means she has a better phone than my contract one - although, one of my contracts finish at the end of the month, meaning I'll be able to get a better one than hers!!!!!!!!! 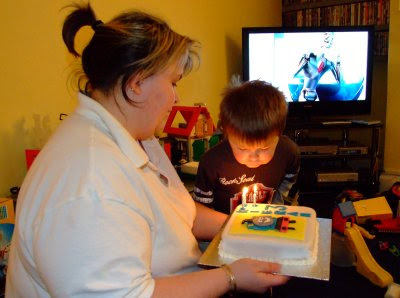 Just a quick post today to say - Happy Birthday Kieran.... 3 today! I said it last year, so I will say it again - - You're one year closer to getting your pension!